Few people are aware that two of the largest separations in the Universal Church took place more than fifteen centuries ago. The first was the break between the Church of the Byzantine Empire and the Persian Empire in the fifth and sixth centuries. A remnant of that large Church of the Persian Empire which once extended to East China and South India now survives as the Church of the East, more popularly known in the West as Nestorian Christians. The second was a split within the Church of the Byzantine Empire itself, between the Hellenic and Latin peoples on the one hand and the Christian peoples of the ancient civilizations of Syria and Egypt on the other. The rem­nants of this latter group, which was also quite numerous and flourishing before the rise of Islam and even later, now find themselves in the five ‘Oriental Orthodox Churches’ of Syria, Egypt, Ethiopia, Armenia and India. They reject the name ‘monophysites’ applied to them by Western scholars. They believe in the one incarnate nature of God’s Word—in mia phusis, one united nature (tewahdo, ‘one’-d, as the Ethiopians call it) of Jesus Christ the God-Man, but certainly not in mone phusis, which would mean one nature only. The controversy stems from the Council of Chalcedon (451), but the split itself is difficult to date. The Churches of Syria and Egypt rejected the Council of Chalcedon, first because they felt the procedure there was coercive and therefore not properly conciliar, and second because they were opposed to any addition to the Symbol of Nicea, Ephesus and Constantinople. The Oriental (as distinct from Eastern, a necessary quibble) Orthodox Churches have in general rejected the Council of Chalcedon as contrary also to the spirit and teaching of Cyril of Alexandria (d. 444), who is their authority in matters of Christology. The definitio fidei of the Council of Chalcedon was felt by these Churches to be approving of the Tome of Leo, which later, according to them, not only contradicts the teachings of Cyril, but goes beyond Cyril to make statements which they regard as positively heretical. The textual variant is ‘of two natures’, in place of ‘in two natures’.2 ‘Of’ is acceptable to the Oriental Orthodox, ‘in’ is difficult. But the Greek text of the minutes of the Council has ‘of’. Ever since the second decade of our century, representatives of our Orthodox Churches, some accepting seven Oecumenical Councils and others accepting three, have often met in ecumenical gatherings. The desire to know each other and to restore our unity in the one Church of Christ has been growing all these years. Our meeting together in Rhodos at the Pan-Orthodox Con­ference of 1961 confirmed this desire. We have spoken to each other in the openness of charity and with the conviction of truth. All of us learned from each other. Our inherited mis­understandings have begun to clear up. We recognize in each other the one Orthodox faith of the Church. Fifteen centuries of alienation have not led us astray from the faith of our Fathers. In common study of the Council of Chalcedon, the well-known phrase used by our common Father in Christ, St Cyril of Alexandria, mia phusis (or mia hypostasis) tou Theou logon sesarkomene (the one phusis or hypo-stasis of God’s Word incarnate) with its implications, was at the centre of our conversations. On the essence of the Christological dogma we found ourselves in full agreement. Through the different terminologies used by each side, we saw the same truth expressed. Since we agree in rejecting without reservation the teaching of Eutychus as well as of Nestorius, the acceptance or non-acceptance of the Council of Chalcedon does not entail the acceptance of either heresy. Both sides found themselves fundamentally following the Christological teaching of the one undivided Church as expres­sed by St Cyril. The Council of Chalcedon (451), we realize, can only be understood as reaffirming the decisions of Ephesus (431) and best understood in the light of the later Council of Constantinople (553). All councils, we have recognized, have to be seen as stages in an integral development and no council or document should be studied in isolation. There has been no official action on the part of the Churches on either side directly confirming the statement of the theologians. It has, however, been welcomed by both sides as a significant contribution to the discussion. Official actions by the Churches have proceeded independently of the Aarhus decisions, though not unaffected by them. Though in our concern for the reunion of Christendom we have in our minds the reunion of all Churches, from the point of view of closer affinity in faith and spiritual kinship with us we need to develop different approaches in our relationship with them. This consideration leads us to take up the question of our relation with the Eastern Orthodox Churches as a first step. We shared the same faith and communion till the Council of Chalcedon in 451, and then the division took place. 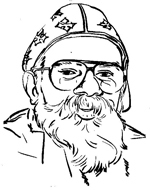 In view of these facts, and on the basis of the experience that our Orthodox Church has gained in her contacts with other Churches and Christian confessions, the progressive steps for the further development of the relations of our Holy Eastern Orthodox Churches with these venerable Churches of the Orient can now be formulated in the following manner. (a) the setting up on both sides of theological commissions, one inter-Ortho­dox, the other inter-Oriental, on the lines of the Orthodox-Anglican and Orthodox-Old Catholic commissions. I. The historical reasons for the conflicts between the Churches. II. The present Christological position of the two Churches. (c) After these topics have been studied by the two sides separately, their theological conclusions, those of the Orthodox and of the Orientals, shall be submitted to their Churches for criticism and responsible judgment. (d) In case the theological work of the two sides is deemed inadequate, separate and parallel pan-Orthodox and pan-Oriental conferences are to be convoked, in order to make definite formulations regarding the theological conclusions of the two sides. (e) After the decision of these pan-Orthodox and pan-Oriental conferences regarding the respective theological conclusions, the convocation of the Orthodox Churches to a pan-Orthodox Synod for the formally ecclesiastical confirmation of the agreements reached, and to pronounce, from the Ortho­dox side, the conciliar decision on these matters. An analogical procedure will be followed by the Oriental Churches in accordance with the practice of their Churches. (f) After the decisions have been taken on the high conciliar level, a joint meeting shall be convened of the heads of the Churches, on both sides, for finally ratifying and proclaiming before the world their union and to give liturgical expression to the great event. These decisions have now been re-affirmed in a Patriarchal memorandum dated 8 June 1966, almost exactly a year later; but the appointment of the Commissions has been proceeding at the usual Orthodox pace. Some of the Orthodox Churches in communion with Constantinople have taken quick formal action–among them the three major Churches of Russia, Rumania and Greece. Others are understood to be moving more slowly. As for the Oriental Orthodox, the Standing Committee of the Oriental Orthodox Churches has appointed itself as the theological Commission on their side, with the power of co-option, willing to meet with the Eastern Orthodox Commission as soon as practicable after the latter comes into existence. These two objections reflect some of the apprehensions on both sides. On the one hand, there is the fear that the separation in the fifth and sixth centuries may have been caused by more than cultural tensions or terminological misunderstandings. Professor Trembellas and Professor Verhovsky of the St Vladimir’s Russian Orthodox Seminary in New York belong to this school, and their hesitations would have to be taken up seriously in the forthcoming meetings. The fear of Catholicos Vazken, who has not yet formally joined the con­ference of Oriental Orthodox Churches, is also a widespread one. Small Churches on both sides are afraid of being absorbed by their larger neighbour, whether in the USSR or in Egypt. In personal discussion among theologians, it has however been explicitly affirmed that, if some day by the grace of God communion is restored between the two sides, this would leave the present jurisdictional and liturgical status of the Churches completely intact. Neither the Armenian Church in the USSR nor the Greek Patriarchate of Alex­andria, for example, would have any interference in their administrative autonomy. It is quite unrealistic to hope that a separation that has lasted 1,500 years will be removed in fifteen years. But what has already happened in our time in the ecumenical field is always so surprising that none of us can dare to set limits to the working out of God’s plans for His One, Holy, Catholic and Apostolic Church. Eng. tr. in R. V. Sellers, The Council of Chalcedon, London, S.P.C.K., 1953, pp. 210-11. Ek duo phuseon, instead of en duo phusesin. The Greek text of the records of the Council has the former, but many Western scholars have assumed the latter to be the original-without sufficient ground, it seems. The papers and minutes of this consultation have been published by the Greek Orthodox Theological Review, volume x, number 2 (Winter 1964-1965), 50 Goddard Avenue, Brookline, Massachusetts 02146, U.S.A., 168 pp. Price $3.00. 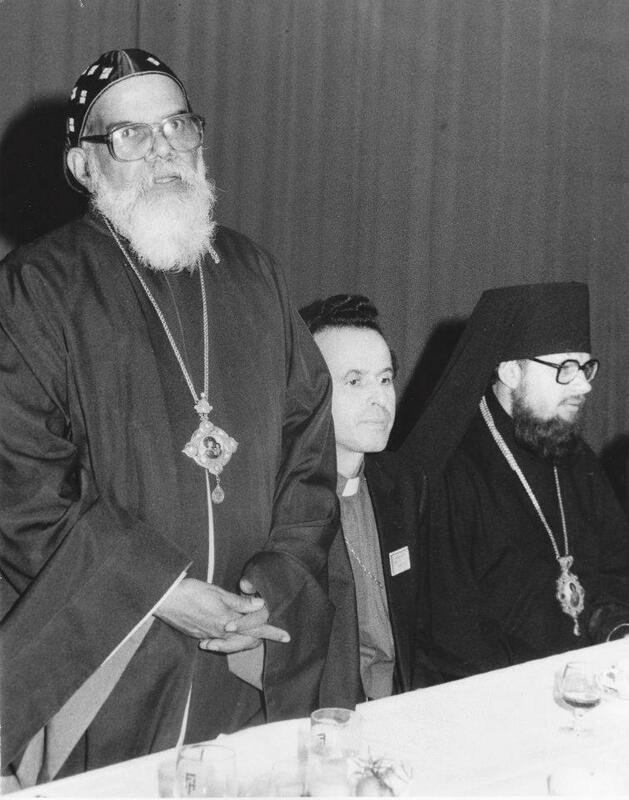 The Oriental Orthodox Churches Addis Ababa Conference, January 1965. Edited by the Interim Secre­tariat, Oriental Orthodox Conference, Addis Ababa, August 1965, pp. 109-10. In Ekklesia, 1-15 September 1965, no. 17-18, pp. 458-9. Eng. translation in The Armenian Church, July 1965, published from 630, Second Avenue, New York.